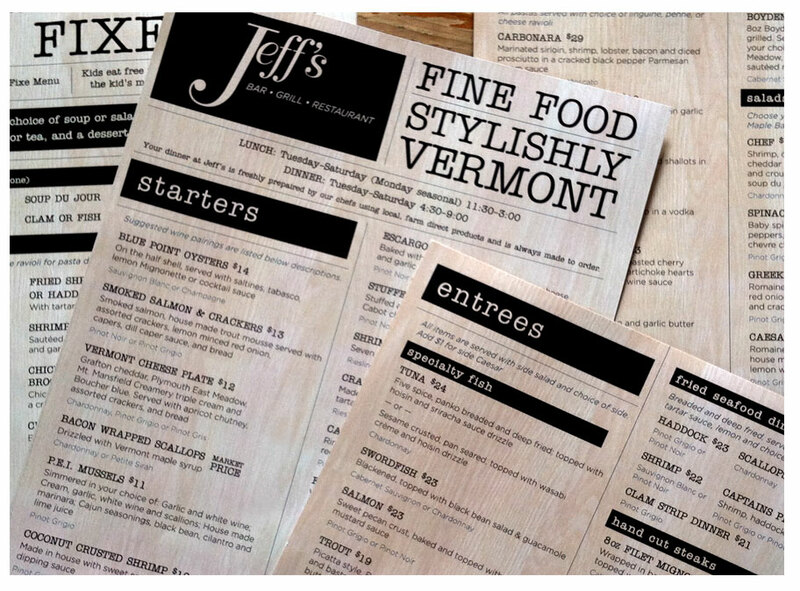 Jeff’s Restaurant, a staple of the downtown St. Albans dining scene, needed a new menu design. They were looking to emphasize their “farm-to-table” fare and make the menu very easy to read. There was also the additional challenge of adding in suggested wine pairings while keeping the menu the same length (to fit in their menu holders). By using a woodblock background and an old typewriter style font, I was able to give them that rustic yet modern “farm-to-table” feel. The modular format and bold, eye-catching section headers makes for easy reading, and the two column layout allowed for more information to be displayed. 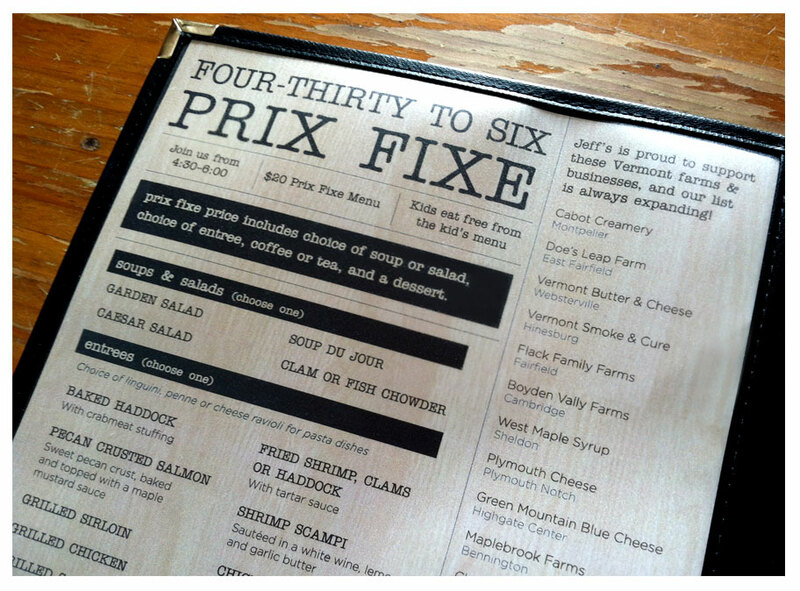 In addition to design, I worked with the owner on wording throughout the menu, with the notable addition of what to call their prix fixe menu that runs from 4:30–6pm every day: Four-thirty to Six Prix Fixe. The menus are printed digitally, and they can easily print just one or all three pages should there be changes to the menu. 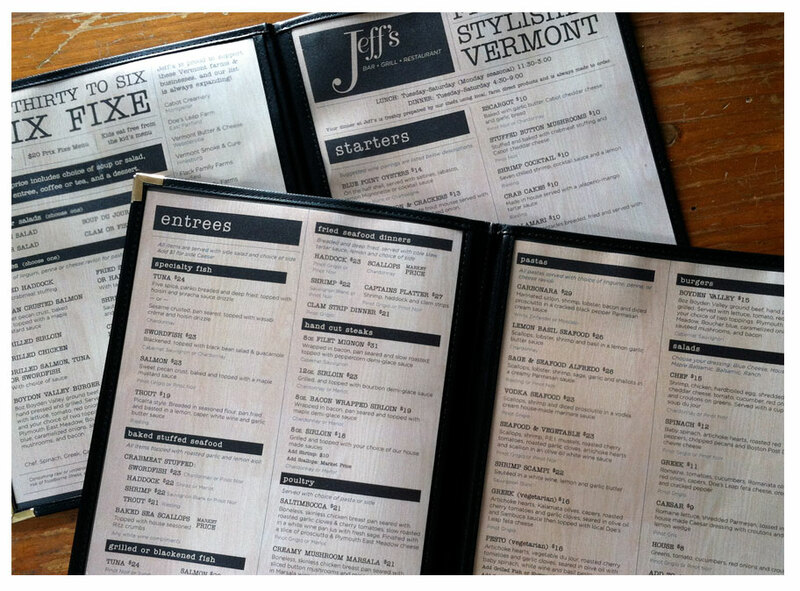 The response has been very positive, with patrons consistently praising the new menu for its readability and design.